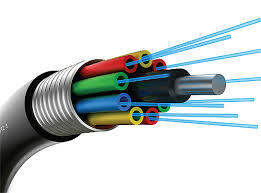 Netcan.com specializes in a range of Carrier Ethernet services which range from 2mb up to 10Gb. Our Carrier Ethernet services come as standard with a 99.96% SLA, a 4-hour MTR (Minimum Time to Repair), Cisco CPE (if managed) and are connected directly into the Netcan.com Next Generation Network where a multitude of additional services are available to use in conjunction with our connectivity. Our Carrier Ethernet services are delivered to us as Layer2 which means we can deliver any type of traffic over them and maintain full control end-to-end of the quality and latency. With full global routes and peering with most major players, we ensure the best possible route to your destination 24/7. Add DSL backup and achieve 100% SLA. Point-to-Point Circuits – Fibre Optic and carrier ethernet technology to connect 2 sites regardless of geographical locations together privately and securely. Layer2 Circuits – Designed for our Wholesale Customers who wish to take Layer2 carrier ethernet services from a customer premises to a datacentre hand-off point. Wireless Carrier Ethernet – Offering Carrier Ethernet leased line services using robust and highly secure wireless networks across Canada . Interconnect – Designed to offer datacentre to datacentre connectivity using carrier ethernet, dark fibre. Service availability across most major datacentres in Canada.